Asylum Research and Micra Nanotecnologia announced today that they have entered into a new distribution agreement that will enable Asylum to extend its global reach and promote its products in Latin America. 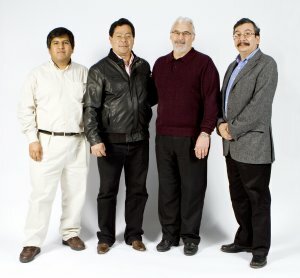 Micra Nanotecnologia representatives pictured left to right: Miguel Urbano, Roberto Villaseñor, John Green (Asylum Research), and Carlos Segovia. Based in Mexico City, Micra Nanotecnologia, is the most experienced microscopy distributor in Latin America, with over two decades specializing in providing atomic force microscopes and other microscopy instrumentation. They will sell, install, and support Asylum's complete line of scanning probe/atomic force microscopes, including the Cypher™ AFM and the MFP-3D™ Family of AFMs. Carlos Segovia, President of Micra Nanotecnologia, commented, "We are excited about our partnership with Asylum Research, the technology leader for atomic force and scanning probe microscopy. Many leading nanoscience researchers are located in Latin America and we look forward to working with them supporting Asylum's products. 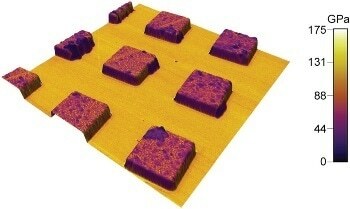 The Cypher AFM is the most exciting and highest resolution AFM on the market, and the MFP-3D is the most versatile AFM available, especially with its biological accessories, instrumented NanoIndenter capability, and the new Ztherm™ thermal analysis option." Added John Green, Asylum's EVP for Sales, "Micra Nanotecnologia has had a long history of success in not only selling, but also effectively supporting microscopy instrumentation. They are an excellent partner for us and we anticipate a long and mutually beneficial relationship that will further increase our market share and user base across Latin America."